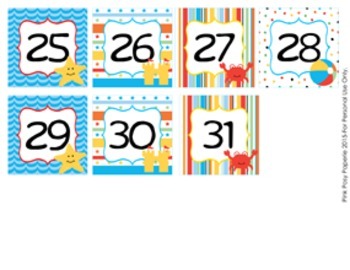 These sweet calendar numbers are great for a beach theme classroom. Includes numbers 1-31. 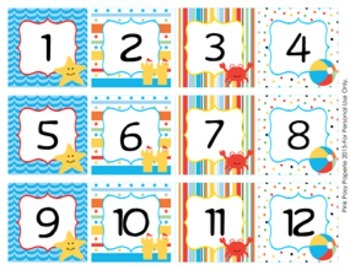 Numbers would also be great for numbering cubbies, lockers or book bins. 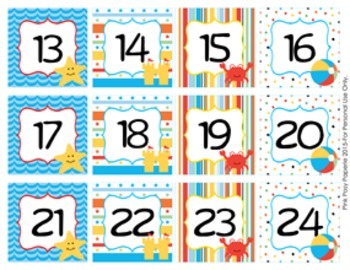 Graphics by Goodness and Fun.